Meet local author of the newest addition to Arcadia Publishing’s popular Images of America series is African Americans of Monterey County, Jan Batiste Adkins. The book boasts more than 200 vintage images and memories from the unique California African American heritage. Ms. Adkins will be at Old Capitol Books on Saturday, January 31 from 3PM to 5PM to discuss her book and sign them. Ahoy there local book-lovers! Old Capitol Books is excited to start up our Thinking Critically about Society Series again this winter together with the Direct Action Monterey Network and the Monterey Community Education Project. 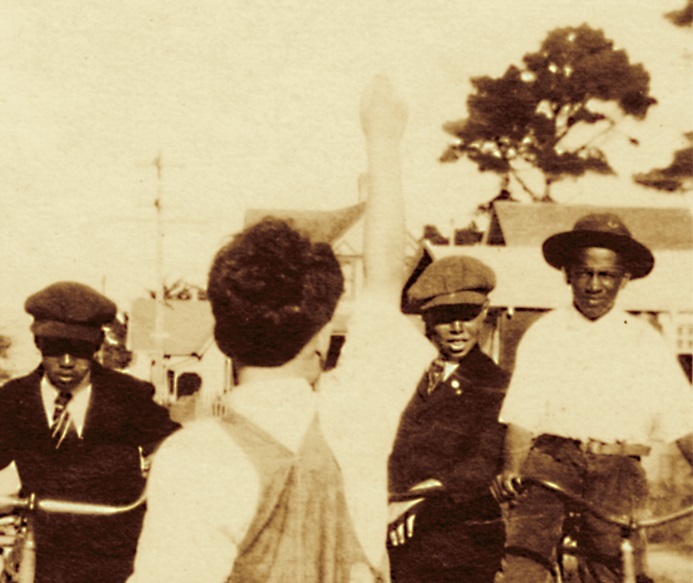 31 January, 2015 – 3pm-5pm: We’re super excited to have Jan Batiste Adkins, author of African Americans of San Francisco, come to Old Capitol Books to discuss her latest work: African Americans of Monterey County.